Comedian Ali faced backlash in the past for his adult comments at the Film Events. 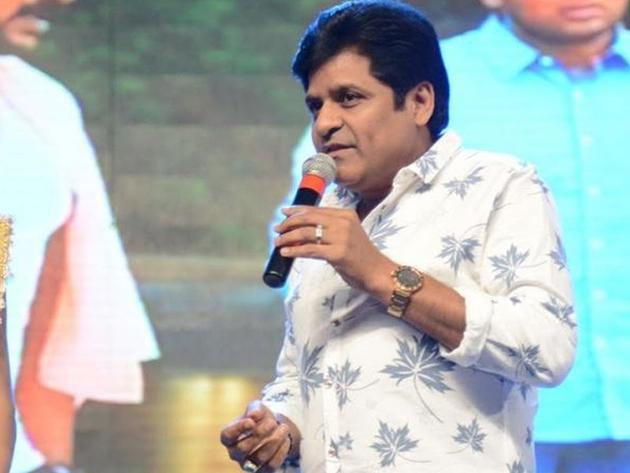 After refraining from such stuff for several months, The Actor invited trouble yet again with his loose talk at the audio launch of 'Lover's Day' starring Priya Prakash Varrier & Roshan. To generate fun, Ali talked non-sense and asked Suma to translate his Malayalam speech into Telugu. Quickly, Suma explained that Ali has conveyed that he treats Priya Prakash Varrier like his Sister. She even advised the Comedian to meet the Actress on Raksha Bandhan day. Thereafter, Ali asked Suma, 'You said Priya Prakash Varrier is My Sister...I have no objection. Roshan is the hero of this movie. Even the name of Suma's Son is Roshan. If Priya is My Sister, Whether Roshan (Film's Hero) is your Son?'. Then, Suma replied: 'Roshan is like her Son'. Quickly, Ali wondered when did Rajiv Kanakala went to Kerala. Then, Suma commented: 'Mee Notlo Noru Pettanu Chudandi...Thesukuntunnanu Venakki'. Ali shouldn't have made such objectionable comments particularly when he is serious lobbying to test his luck in 2019 Elections. Any such controversies gonna damage his image and might even ruin his political aspirations. How does TDP Leadership respond over this incident?